This EOS 6D camera has only 29,669 shutter actuations, so we can say it’s barely used. No need to worry about the shutter, so the wear indicator is coloured green ✅. This EOS 6D Mark II is in the middle of its life cycle. 96,880 shutter actuations are already made, but there is still a lot to go, thence the ‘yellow’ ✴️ rating. 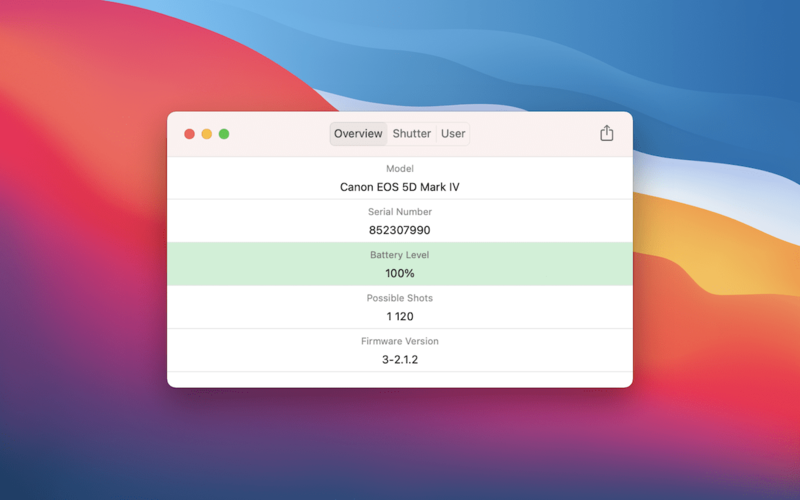 This EOS 5D Mark IV has worked out 92% of its rated lifespan. The camera is heavily used, therefore the red colour ❌ of the wear indicator. Beware! What ShutterCheck is Good For? 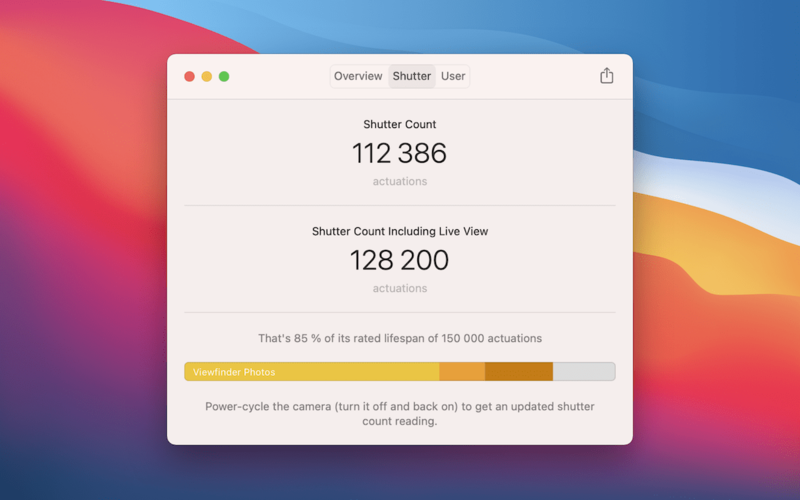 Download ShutterCheck for Mac today to check shutter count of your Canon EOS camera. Get unlimited readings for unlimited cameras for just $4.99.